EDS Rejuvenation is an advanced, electronic, micro-skin needling treatment, a procedure that stimulates the skin to regenerate and repair itself naturally, resulting in smoother, brighter, younger and healthier looking skin. How Does EDS Rejuvenate Work? The EDS Rejuvenate treatment is an electronic, micro-skin needling procedure that produces thousands of micro-needle columns in the skin, which in turn stimulates the skin to naturally generate and repair itself. As part of this stimulation new collagen can be formed, new cells generated and the structure of the dermis, the lower level of the skin, enhanced. 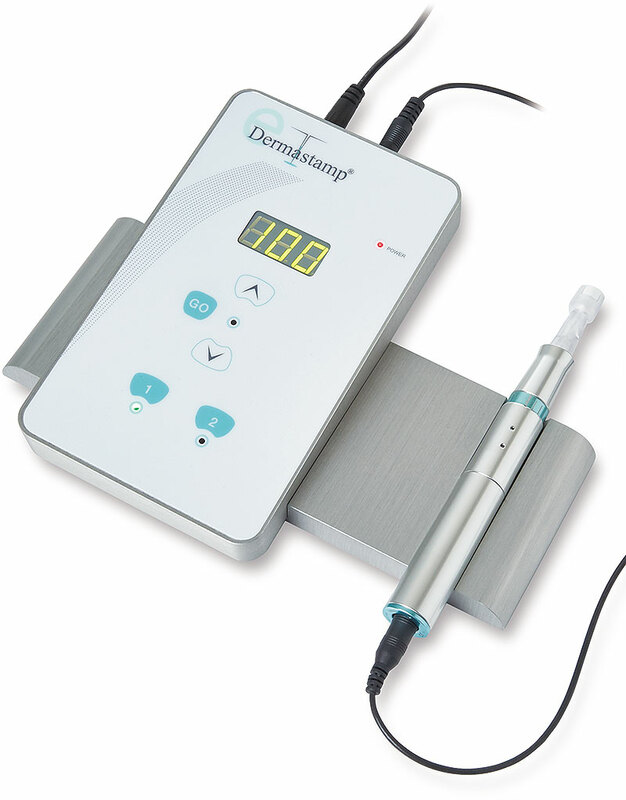 Your practitioner will carry out the EDSRejuvenate procedure using the advanced, medical grade eDermastamp device. The EDS Rejuvenate procedure has a good comfort level, however, this will normally be made more so as your practitioner will numb your skin using a topical anesthetic beforehand. They will then use the eDermastamp to produce thousands of micro-medical needle columns in the skin, and a serum will also be used to help the handpiece glide on the skin. The treatment will take around 60 minutes, depending on the area being treated. Immediately after your EDS Rejuvenate treatment you will look as though you have moderate sunburn, and your skin may feel warmer and tighter than usual. To assist your skin in its recovery you practitioner may apply a post-procedure product. Your practitioner will suggest a course of EDS Rejuvenatetreatments depending on the condition being treated, but expect at least three treatments with approximately 6 weeks apart. IS THERE ANY PRE- OR POST TREATMENT ADVICE? You should avoid any potentially irritating skincare products at least 3 days prior to your treatment. You should then avoid intensive UV exposure and artificial exposure for at least 2 weeks after your procedure. It is important that you use a high level broad spectrum UVB|UVA sun protectant on a daily basis during this period, even in winter and on cloudy days. 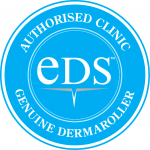 Once the redness has cleared following an EDS® Skin Rejuvenation procedure, it is important that the skin is cared for on an ongoing daily basis with an effective anti-ageing regime. Your practitioner will recommend a regime most suitable for you, which will also help maintain the results.